Typographics is an ambitious two-day typography conference, surrounded by two weeks of workshops and events, planned for this June at The Cooper Union for the Advancement of Science and Art in New York City. Organized by Cooper’s Type@Cooper and the Herb Lubalin Study Center of Design and Typography, the conference provides a platform for designers to share broad perspectives on where typography is today and where it is going. During Typographics more than 20 speakers will present about a fundamental aspect of graphic design that bridges all content. Confirmed speakers include Sue Apfelbaum, Matteo Bologna (Mucca), Louise Fili, Mike Fortress, Barbara Glauber (Heavy Meta), Jackie Goldberg (Yahoo! ), Bethany Heck (Microsoft), Marty Hall, Jonathan Hoefler (Hoefler & Co.), Bruno Maag (Dalton Maag), Abbott Miller (Pentagram), Juan Carlos Pagan (Deutsch NY), Adrian Shaughnessy, Paula Scher, Alex Trochut and Erik van Blokland (LettError). One, two, three and four-day intensive workshops, organized by Type@Cooper’s coordinator Cara Di Edwardo, will bookend the conference. Besides the hand-lettering, sign painting, calligraphy and font technology workshops that Type@Cooper is well known for, workshops will include digital publishing and responsive design. Additionally, the festival’s Typographics Lab offers participants the opportunity to work alongside established designers and programmers on practical applications of available type technology. The Lab, located at Cooper, will host mini-lectures, debates, small workshops and serve as a hackathon for type design tools developers. Publications and web content are planned to originate from the Lab. Tours to typographically interesting locations and a number of social events are being planned, so everyone involved can meet and get to know each other. 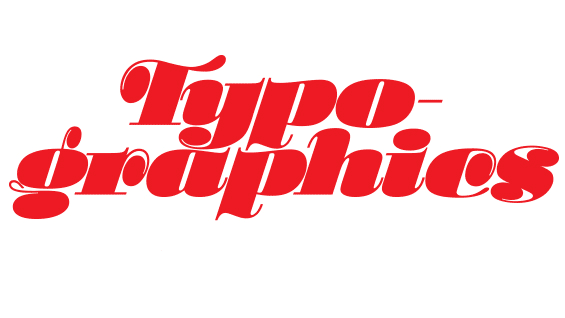 Typographics takes place Friday, June 12 and Saturday, June 13, 2015 in The Cooper Union’s historic The Great Hall, Seven East Seventh Street, New York. Workshops and “a festival of type events” start on June 8th and run through June 18th.